Are you searching a Car Transporter service? 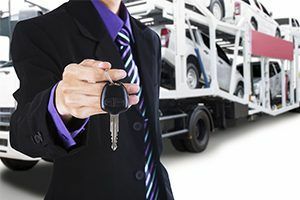 Finding a reliable, affordable, and safe car transport service can be overwhelming, particularly if you have never had to transport a car before. However, with All States Car Transport services, can help you transport your vehicle wherever it needs to go. One of the most important aspects of our auto transport company is insurance. Because your car is a huge investment, it is essential to make sure that your vehicle transport service has insurance during the automobile transportation process. So in case of dents, scratches, or more severe problems, you will receive the amount you need to repair the damages. Furthermore, our good auto transport company provides inspection services as well. This service is valuable because it helps better assess the vehicle condition before and after the delivery. Also, our transport company should can provide you a list of referrals. In this way, you can receive honest feedback from out quality and reliability services we offer. Another thing we offer is delivery options, so if you are on a budget, we can help you choosing an option that is most suitable for your needs. 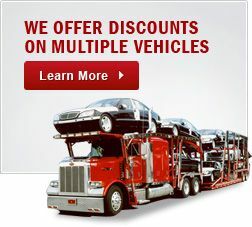 Open and enclosed carrier are the primary options when it comes to different types of car transport. Nevertheless, if you own a classic or exotic vehicle, the enclosed transport is a more suitable option for you as it provides the most protection during the transport. On the other hand, if it is a long distance journey then most people prefer open transport as it is relatively affordable and is a safe way to move your car. As both options have their pros & cons, you should choose the one that suits your needs and budget best. Car carrier pick-up and delivery confirmation date. Company call a day before and at least 2 hours before pickup. The final step is receiving the vehicle at its destination. Unloading, inspection and damage assessment. 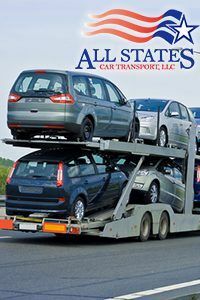 All States Car Transport is here to make sure you and your car receive the best possible service when transporting it nationwide. We are committed to providing a reliable and careful service to our clients. 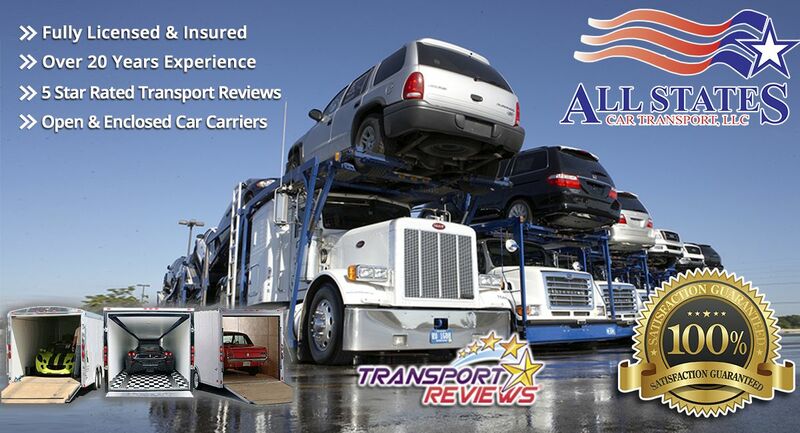 We offer door-to-door and state-to-state fully insured vehicle shipping service all across the country. We offer open and enclosed options for transporting motorcycles, cars, vans, buses, trucks, and more. Call us today at 1-877-320-2758 or visit our Quote. Car Transporter	Overall rating:	4.8	out of 5 based on 8	reviews.